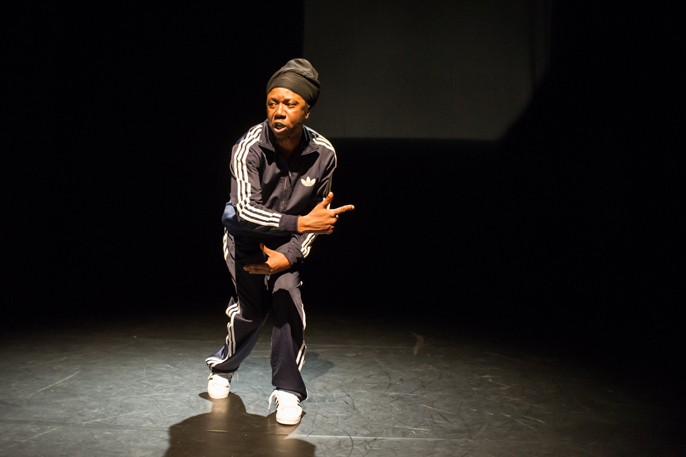 Hip hop theatre artist Jonzi D - a Sadler’s Wells Associate and the Artistic Director of internationally acclaimed hip hop festival Breakin’ Convention - presents a UK tour of Lyrikal Fearta: The Letter & Broken Lineage. The Letter is a solo work which explores the responses to Jonzi being offered an MBE, and uses choreopoetry to look at this sensitive subject matter through the eyes of an animated cast of characters - all played by Jonzi. The evening also features Broken Lineage, a newly commissioned collaboration with Ivan Blackstock of BirdGang Dance Company, about the relationship between the old skool and new skool hip hop generations. There will also be a top guest hip hop artist presenting a new work at each venue. Bringing Jonzi’s unique perspective to evolving social issues, Lyrikal Fearta promises to captivate audiences with Jonzi’s wit, humour and style.